On the weekend of the 28th of September I attended the BEYOND Symposium for “Future Design Thinking” in Karlsruhe, Germany. This conference is of special interest because it gathers content creators and decision makers around future design trends. In its 2016 edition, a full day was dedicated to Virtual Reality. 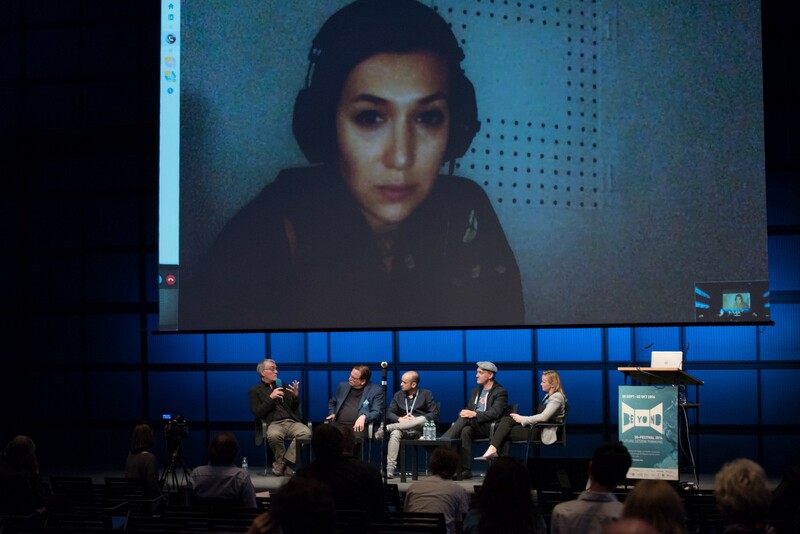 Monika Bielskyte, Dr. Thomas Metzinger, Francisco Menendez, Cyril Tuschi and I shared a panel focused on the empowerment that VR possesses. And boy oh boy, if anything, getting a creative, a philosopher, a movie director, an artist and a developer to discuss about VR is… something. As humans we use technology to communicate among ourselves and share ideas. Each new medium we develop comes with new challenges, learning curves and acceptance from consumers. Some — as stereoscopic 3D TV — don’t pass the acceptance phase and are therefore swapped or evolved, in ways in which we can take better advantage of them. VR is now in this critical point were there is interest and curiosity between developers and users. But a lack of content and costly over-complicated work flows can threaten material coming from diverse sources. Moreover, a pressing issue is the understanding of the consequences that the creation of these “virtual memories” will bring. Current uses of VR in areas like horror games and First Person Shooters (FPS) should be carefully thought and major players in the VR space need to take into consideration how can VR/AR tech empower the users. What was clear from our discussion is that it’s necessary to think about the consequences that our actions and experiences will bring. Virtual Reality is for much more than FPSs and horror. For example lets picture all the experiences that can be shared. How many memories in 360 can be relived between families that are apart. Or friends that are abroad. Think about how your content matters more to you than commercial content. This poses a challenge, to break away from traditional content and meditate how we can share experiences and even create empathy. One way of doing this is by empowering the users and developers. And we can empower them by removing the barriers to creating and developing content. 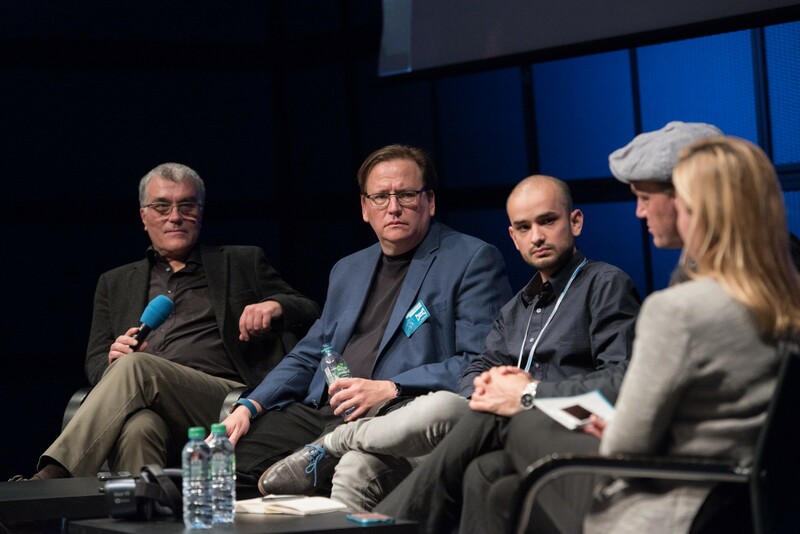 VR Panel at BEYOND Symposium. When creating content for VR, there are two separate angles that are important. Personal consumer content and content created by developers. In both cases, hardware and software can be powerful allies. On the consumer side, enabling the capturing of content relevant to them, even if it is not in the highest quality, can help families and friends relive and share moments. Consumer 360 cameras play an important role, and being able to put this content in social networks promotes a healthy exposition of 360 media to the public. Is it immersive enough? I tend to agree with Sönke Kirchhof when he states that “360 video in a headset can be as immersive as VR”. On the developer side, easing the access to an environment that allows content creation can open doors to new and innovative content. There are frameworks that allow this, A-Frame among them. It aids in the setting of the different bits and pieces that form a VR scene (camera, lights, orbit/movement controls, etc) letting you focus on the content itself. At the same time, it enables millions of existing web developers to jump right into the VR development scene, by leveraging their existing set of skills. This type of Virtual Reality on the web takes this one step further by allowing the developer to distribute as he is used to with the web. Simply put, no app store policies, no huge download packages, no gatekeepers and no closed development environments that can hurt VR. It’s about embracing this new medium with open arms. Open consumer and developer arms. Put it simply, it takes a certain amount of complexity to develop a VR experience, and leveraging the power of an open technology stack to create and distribute this content is real empowerment. Empowerment that will enable “magical” experiences and that can democratize and even commoditize Virtual Reality. It’s about embracing this new medium with open arms. Open consumer and developer arms. App store policies, huge download packages, gatekeepers and closed development environments can hurt VR. So let us commoditize VR. We are one step in the right direction by bringing the technology to millions of existing developers. We are one step in the right direction by using the broadest distribution medium known to mankind to share these experiences. 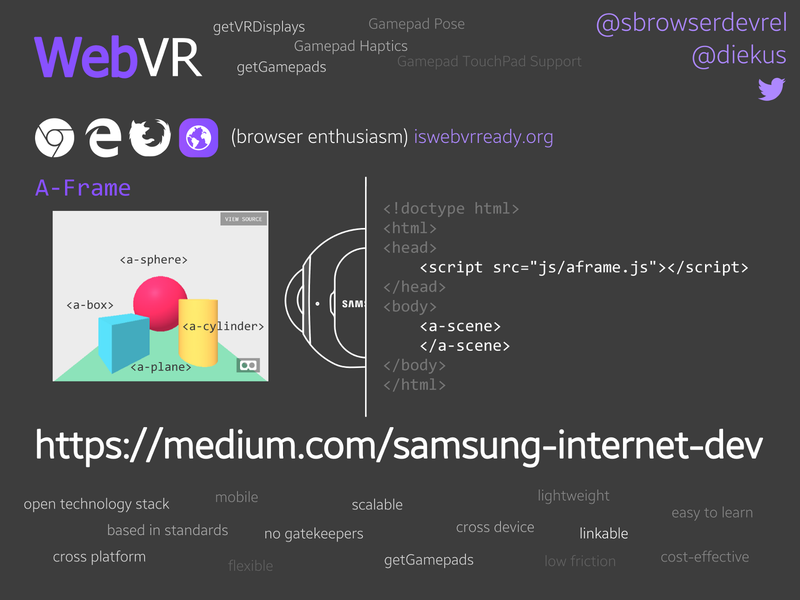 And step by step, we realize that WebVR is the VR beyond VR. WebVR is the VR beyond VR. 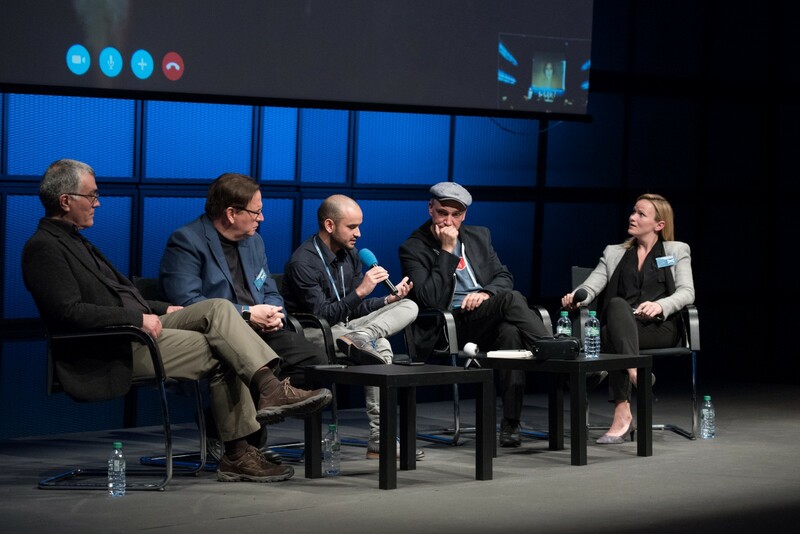 A big thank you to photographer Michael M. Roth for the pictures, to Kathleen Schröter for the moderation and the BEYOND family for the invitation.